In October 2008, Crocker Ltd was awarded the National Trust/Advisory Council on Historic Preservation Award for Federal Partnerships in Historic Preservation for the V-Site Restoration Project, in conjunction with Los Alamos National Laboratory and the Atomic Heritage Foundation. Scroll down to view the National Trust for Historic Preservation's award video. 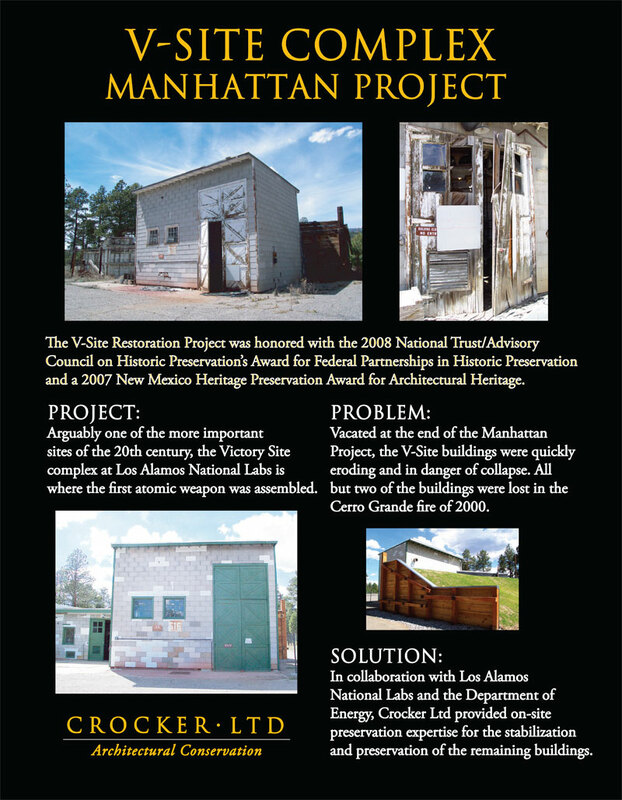 In 2007, this project was awarded the New Mexico Heritage Preservation Award for Architectural Heritage for the "Exemplary Restoration of the V-Site of the Manhattan Project."